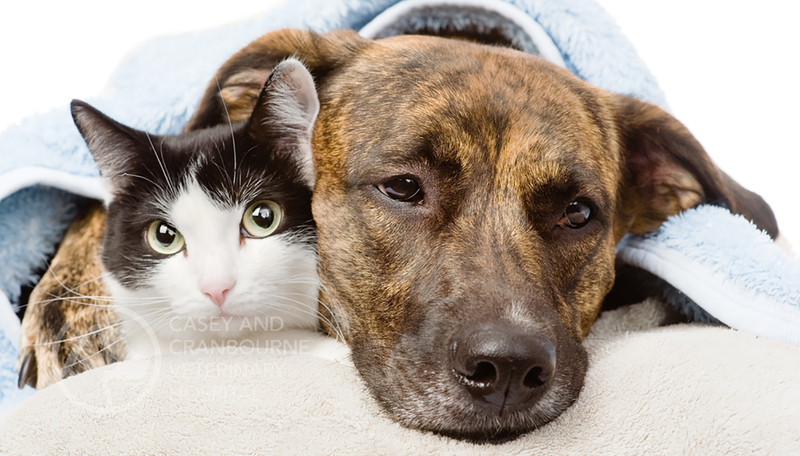 85% of dogs and 70% of cats over 3 years old suffer from dental problems? 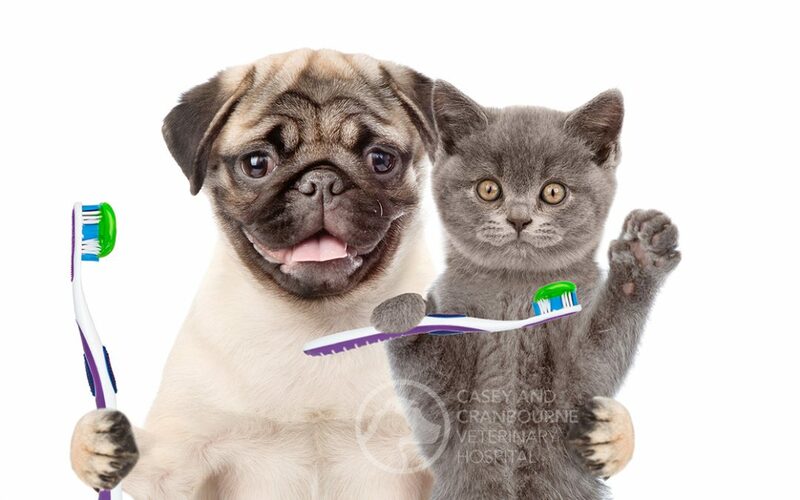 Dogs and cats develop plaque on their teeth when saliva, food particles and bacteria come together. If left untreated, this plaque combines with minerals in the mouth to become hard tartar that will eventually cause decay, gum disease and other ongoing oral health issues. For the months of August and September, if you book in a dental procedure for your cat or dog, you will go into a draw to receive a dental care pack containing a bag of Royal Canin Dental dry food, a box of oravet chews (dogs) or a bag of greenies (cats) plus a home cleaning kit containing pentosan toothpaste and a toothbrush – valued at up to $100! CranbourneVet will have two draws: one for dogs and one for cats! So don’t delay, contact Casey and Cranbourne Veterinary Hospital to book your furry friend in for a dental check up today!